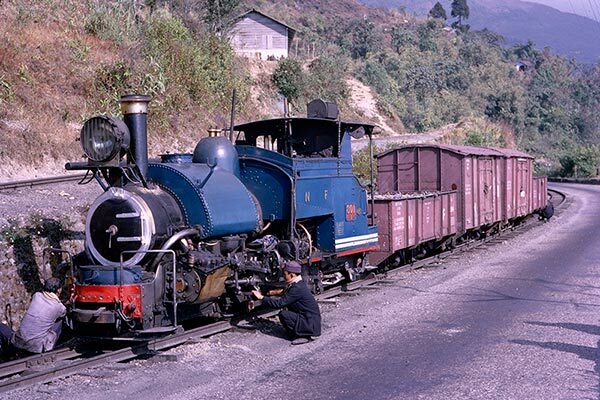 Caption - Darjeeling Himalayan 0-4-0ST no.801 (North British 23301/1925) pauses for some minor attention before Kurseong whilst working an up freight. Taken in February 1968, the loco looks to be in immaculate condition. At this time freight was a regular feature of the daily operations over the line. Today 801 is plinthed at New Bongaigon workshops.